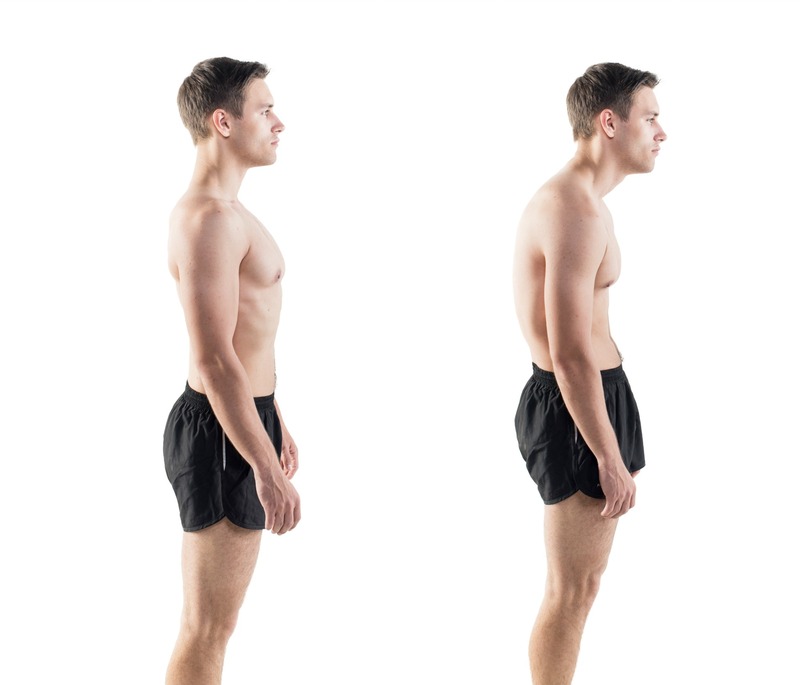 Does Forward Head Posture Cause Stress for Runners? Last week I told you about an orienting exercise I’ve been doing to relieve stress. Maybe exercise isn’t the right word, let’s call it an activity, just a normal human thing that people have been doing forever… except that it’s way too easy to go extended periods of time without doing it in the modern world we inhabit. This realization is one of many pieces of a puzzle involving stress, running, and head position that I’ve been pondering recently. Over the past year I’ve often felt like I was rushing everywhere all the time, either running for exercise, dashing to the bus, pedaling hard on my bike, or locked down at my desk with my mind and fingers racing. And all this went into overdrive in February when we realized we needed to get ready to move to Germany—fast. As you know, I talk a lot about running with your face moving forward and the rest of your body trailing after—the way we always see children run, as well as athletes in sports that involve running (football etc.). But between the running, leaning forward over my bike, and (yes, I admit it) doing the face-forward “computer hunch” at my laptop, always trying to push the pace, it started to feel like forward was the only place my head ever was. And it didn’t feel nice. Any opportunity to simply walk felt like being handed a precious jewel, a moment of calm and even dignity. At first I thought it was just because I was having a break from rushing, but there was also something about being fully upright that was a delicious pleasure unto itself. Around that time I came across an article about stress and confidence and how a forward head position when running will bring on a very negative emotional state. The timing was perfect and in a way it seemed to fit my experience. But in fact it is wrong. Here’s why. What is a Forward Head Posture? This posture has many names, including slouching, text neck, iHunch, and iPosture (imagine a mobile phone in the guy’s hands and you’ll see where this comes from). And yet while it’s still not rocket science, some basic geometry is needed to fully understand it. 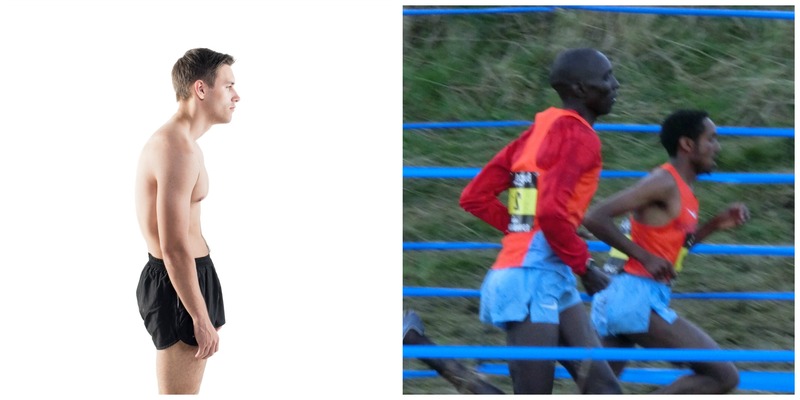 Because while a forward head position is easy to define when a person is standing or sitting and their spine is (or should be) vertical, what about activities in which the spine isn’t supposed to be vertical, such as running? Like everything else involving movement and the human body, the issue isn’t a position but a relationship. If your spine is vertical your neck has to bend in a very stressful way to put your head in front. Because gravity is pulling vertically downwards and that’s the only force involved (or in the case of walking, probably still the most important one), the fact that your head has no support under it means your back and neck muscles have to do a massive amount of extra work to hold your head up. The bend in your neck can also reduce blood flow to the brain by compressing the carotid arteries with possibly significant effects on your mental function, mood, and even your ability to sleep. However if your spine is angled forward as a result of forward motion—running, cycling, galloping a horse, etc.—your neck is not bent in the same way, and there is a force through your spine pushing your head forward and up. In other words, your spine is still supporting your head. The heads are the same but everything else is different. That includes the shape of the neck, which is curved in the standing guy and straight in the runners. That’s because a forward head in standing requires you to bend your neck forward and up, but a forward head in running just involves sliding your skull forward on the atlas–the neck is straight (or rather maintains its normal cervical curve). So while moving your face forward while standing or walking bends your neck and stresses your back, moving your face forward when running is the way you keep your spine supporting your head, with your neck straight and and your back working properly. What exactly happens with the carotid artery in that position I cannot tell you, but since running is well known to improve brain function and mood, reduce stress, and improve sleep it seems very unlikely that blood flow to the brain is compromised. So that’s the mechanical side of things. What about confidence and the emotional side of stress? Moving your head forward when standing, sitting, or walking makes you smaller. You’re shorter, your back is more rounded, and you’re closer to a fetal position. As it turns out, that has a massive impact on your emotions and behavior, increasing levels of cortisol in your body and lowering testosterone (and ladies, we need a decent amount of that hormone too, so this isn’t just about men). When you’re organizing yourself that way, you have less confidence, lower intelligence, and are less happy. The details are worth knowing, and this article summarizes the research on the subject nicely, including a video of the marvellous TED talk by Amy Cuddy which, if you haven’t seen, you must. But this doesn’t apply to running. For the reasons of basic geometry I outlined above, when your head is appropriately moved forward for running, you are not flexed. Your back is straight, though on a forward angle. In fact it’s probably straighter and working better than it was all day at your desk and in the car, and that’s one of the many reasons running makes you feel less stressed, more confident, and happier. And when your core action is working really well, effort in your flexors and extensors becomes balanced so the flexors don’t predominate, further supporting your great mood and feeling of wellbeing. Once I worked all this through for myself, from noticing that my head was always forward and that didn’t feel good, to considering the nature of the stress-related, non-running forward head position and the ramifications for emotion and behavior, I didn’t change a thing about my running… but I did change everything else. The running form guideline to keep your face forward is healthy and helps ensure that your running is good for you. Face forward in other situations is a lot worse for you than I had realized. I now go to much greater lengths than I used to to avoid being in a forward head position for any extended period of time. I’m very careful about how much I look at my phone, and frankly even about how I read books—forward head position didn’t start with the digital age, it started with the printing press! And when I’ve been feeling at my most stressed and pressured and down, I’ve made a real effort to sit up tall anyway. It feels Victorian. And it works. But that isn’t the end of what I have to share. Because beyond this I also realized that in running and cycling there was actually something deeper about the forward head position that, while biomechanically healthy, still really did worsen my stress. Stay tuned for that next week! I wonder if there is links between this and excessive smart phone use. Hi Jae;Good article o head position,if you watch Gale Sayers the great running back foe the bears or any great NFL running they keep there heads upright and mobile.A fact that the teleceptors are in an ideal position. Question;Is bunion surgery worth it or is foot exploration the key?. my feeling and understanding is, that the balancing of the head in any position, standing, walking, running and all the rest, starts with the 7th neck vertebate (vertebra prominens). It is a subtle positioning between stiffening with the rest of the spine and overcurving the neck vertebrates as a whole over the natural lordose tonus, which forms a slight arch. Axis and Atlas can then be moved as needed for the movement one is longing for. Have to think about this, Olaf! In my experience the whole spine is best thought of as mobile, though there’s no question that the mobility of the atlas and axis make it possible to direct your head in space no matter what the kind of movement you’re doing is.